We perform participation in facility visit event or local festival. 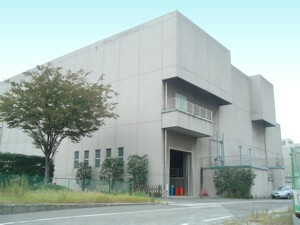 The northern first water reproduction center is almost junction type sewer processing facility to assume the Tsurumi Ward northwestern part and a part of the Kohoku Ward processing area. 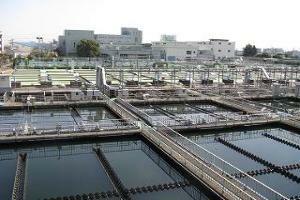 Filthy water cleans by activated sludge method and discharges into the Tsurumi River. 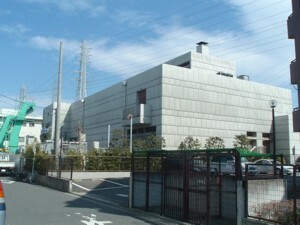 In addition, we manage three places of filthy water broadcast, rainwater drainage pumping stations and five places of rainwater drainage pumping stations, four places of basement pump facilities at the coast along the Tsurumi River of the first-grade river and work hard to drain away rainwater quickly in the Tsurumi River, and to prevent the inundation of town. Furthermore, rainwater stagnant water pond operates as initial contamination measures at the time of the rain. 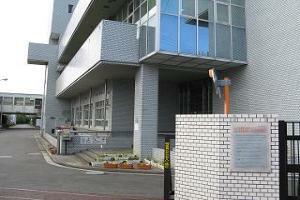 We can download summary brochure of our center. 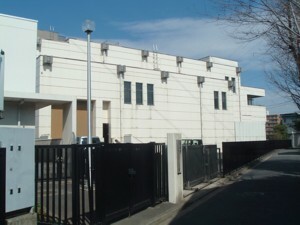 We use the sewerage treatment water for heat source and are doing air-conditioning. We serve as energy saving and heat island measures. 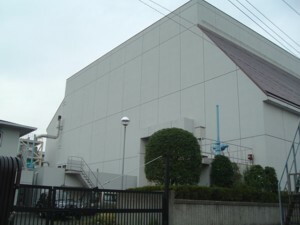 The northern first water reproduction center manages many pumping stations as rainwater drainage measures with disposal of filthy water, and they have function to prevent the inundation of town. In addition, former shrine pump place, rainwater stagnant water pond is installed as preventive measures against contamination at the time of the rain, and the upper part is opened as park. 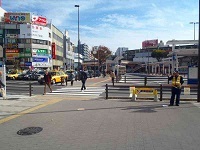 We get off Tsurumi Station Yokohama East Exit Bus Terminal 1.2 turn platform by bus in the fourth bus stop "in front of Morinaga factory", and seat-load time is around ten minutes. 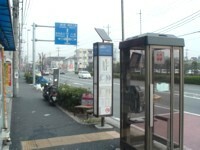 When go down bus stop, the front crosses the next signal toward Mornaga & Co. Tsurumi factory, the left hand, to the Tsurumi sports center area. It is about 10 minutes on foot from the northern first water reproduction center. 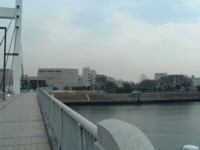 The first water reproduction center of Morinaga Bridge over there northern on Tsurumi sports center, the right. 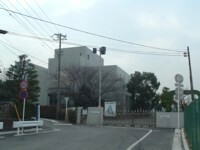 It advances while seeing the northern first water reproduction center on the right hand. 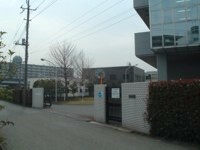 The front gate is the left hand depth more. 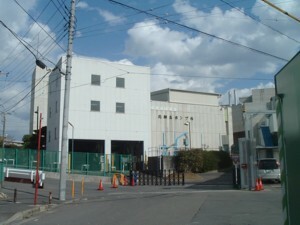 The front gate of the northern first water reproduction center is this place. 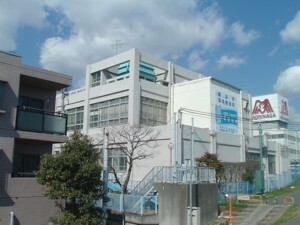 We turn right at the intersection in front of Morinaga factory from the Tsurumi Station area, and the right hand is the northern first water reproduction center when we turn right after having crossed Morinaga Bridge.